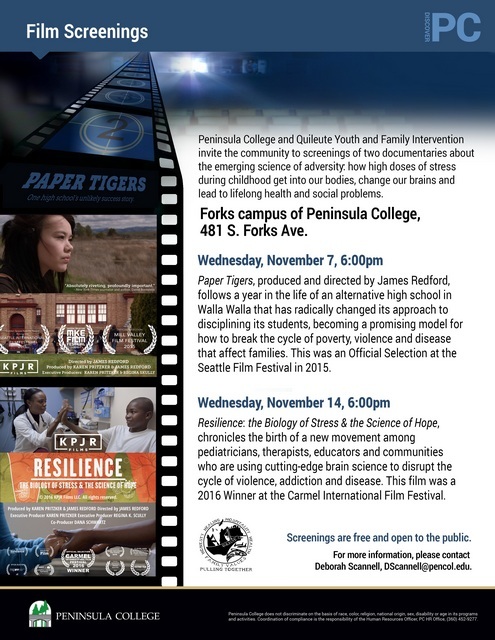 Peninsula College and Quileute Youth and Family Intervention invite the community to screenings of two documentaries about the emerging science of adversity; how high doses of stress during childhood get into our bodies, change our brains and lead to lifelong health and social problems. 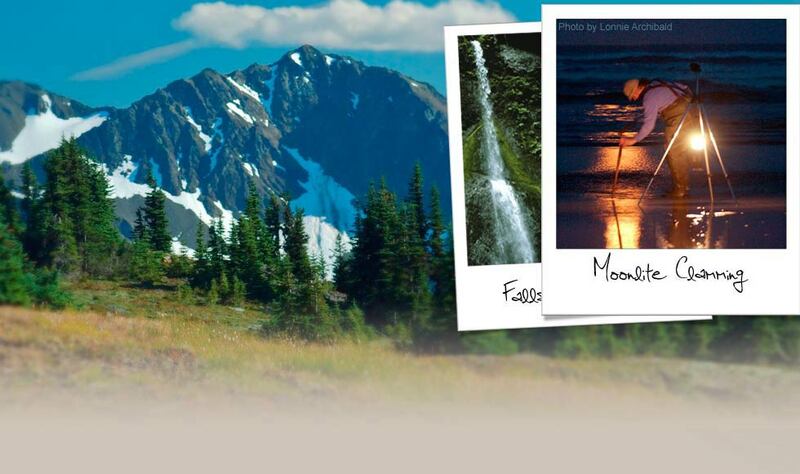 Paper Tigers: Wednesday, November 7th at 6:00 p.m. Resilience: The Biology of Stress & the Science of Hope: Wednesday, November 14th at 6:00 p.m. Screenings are free and opened to the public.